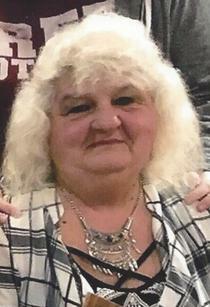 Pamela L. Lindecamp age 60, of Bailey Lakes, passed away Sunday, February 18, 2018 at University Hospital Samaritan Medical Center. She was born October 7, 1957 in Ashland, the daughter of Kenneth and Doris (Longden) Carpenter. Pam was a 1975 graduate of Crestview High School. She had been a shift Supervisor at CVS for 16 years from when it opened, and had most recently been employed at Belly Busters BBQ. Pam most enjoyed spending time with her grandchildren and great grandchildren. On November 17, 1977 Pam married Clair Lindecamp who preceded her in death in 2012. Survivors include her father, Kenneth Carpenter of Ashland; daughters, Amy Hines of Ashland, Angela Paskins of Ashland, Lisha Clantz of Mansfield; her sons, Andrew Lindecamp of Ashland and Jacob Lindecamp of Ashland; her step sons, Tracy (Kimberly) Lindecamp of Mansfield, and Michael Lindecamp of Ashland; along with her sister, Denise Carpenter of North Carolina. She was preceded in death by her mother, Doris; brother, Mark Carpenter, and sister, Cindy Adams. Funeral services will be held at Heyl Funeral Home on Friday, February 23, 2018 at 1:00 P.M. with Pastor Don Earlenbaugh officiating. Burial will follow at Ashland County memorial Park. Friends may visit with the family prior to the service on Friday from 11:00 A.M. till service time at the funeral home. The family suggests memorial contributions may be made to the Ashland County Cancer Assoc. 1101 E. Main St. Ashland, Ohio 44805.